Hi guys welcome to my article on the best affiliate marketing courses for 2019. These courses are targeted to beginners but even intermediate and advanced affiliate marketers will benefit if they choose to pick one of these up. 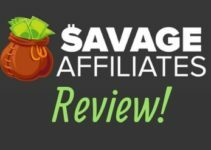 Before I get into what my picks are, there are some things I need to get out of the way when it comes to affiliate marketing so this is going to be a bit of a rant. If there is one thing you need to understand with this business model is it is super competitive (in some niches) and can be very cut-throat. 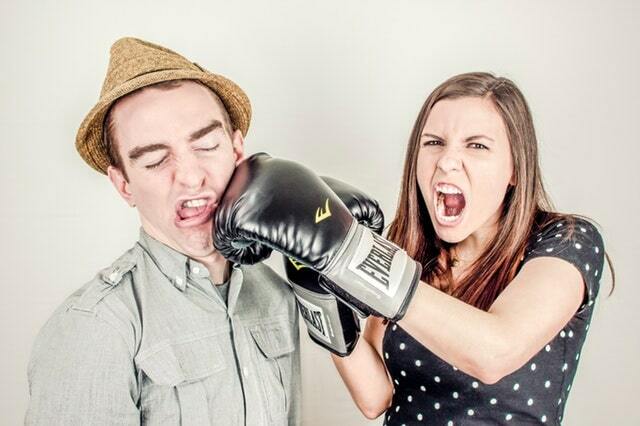 Many marketers will try to out-do each other with varying tactics all to get an edge on their competition. If this doesn't scare you, then read on. If you're feeling a little squirmy, then perhaps you should look into a different line of business. When it comes to being an affiliate marketer one thing you need to understand is that you should NOT reinvent the wheel. It's a known fact that many of the top marketers in the affiliate space basically just "copy" what others are doing and what works. Now when I say copy, I don't mean literally rip off your competitor. What you should do is look at their sales copy, page structure, content, page design, etc. Use this as inpiration to come up with your own content. If you go into this blindly and just "guess" what is the best way to set up your pages, site, etc., then I can guarantee you will most likely fail. But don't take my word for it. Look at Russel Brunson, the CEO of Clickfunnels who is almost worth 400 million. 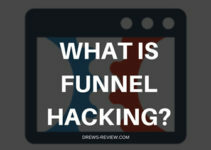 Have you heard about his "funnel hacking" strategy? Basically what he says is to "copy" what others are doing with their funnels. The look, the message, content, etc, is all "borrowed" or "hacked" in this sense to make them your own. The premise here is that if you do what others are doing that have succeeded already, you're in a much better position to succeed yourself. If you model what they are doing rather than going at it alone - you'll accelerate your growth much quicker. So the same concept needs to be adapted with your approach to affiliate marketing. Look at your competition (the ones that are winning obviously) and just do what they do. You aren't going to copy the content word for word but you're going to write about similar topics. Your pages should pass Copyscape just to ensure that you aren't ripping off someone elses material. Not only does this make sense but you'll also avoid a potential Panda penalty from Google. Word count, structure, etc. should all have similarities. When it comes to offers that are being promoted by your competition, you'll want to sell what they sell, provided it is a good product. Don't promote crap - your reputation will be tarnished. Some things like url's, titles and Htags will be very close because these are the strongest on-page ranking factors but you can be creative with your content. So for anyone that may have told you to not be a loser and don't copy anyone and just come up with your own stuff - i'd probably question any advice they give you. They are not in your corner. My advice is to take the approach from someone like multi millionaire Russell Brunson and other top affiliate marketers that adapt a "hacking" strategy with their business - modeling what SUCCESSFUL MARKETERS are doing already. I think they know better. Anyway, I do hope you understand where I am coming from and what it is that you need to do should you decide to get into affiliate marketing. Yes you may hurt someone's feelings if you "borrow" their ideas online but this is business. Put it this way, if you don't someone else will eventually. No one's gravy train lasts forever. Don't wait at the end of the line for scraps. With that being said, here are my top picks for affiliate marketing courses and why. I've done separate reviews for all of them already which you can read separately if you like. Probably my favorite affiliate marketing course and for good reason. Franklin Hatchett's strategies are excellent and provides a TON of value in a course that is only priced at $197. When I first got my hands on the course I was expecting much less content and strategies based on the price. The amount of work put into this course is crazy for what you have to pay. There's also email marketing training and funnel training. It comes with a money back guarantee and full support including a Facebook group. It really is a complete course and newbies will especially love it. Last month when I was in Thailand I jumped on this free webinar that was hosted by Gael Breton, who is the co-founder of Authority Hacker. I had some time to kill while I was on the beach and was fully expecting to close it after a few minutes. To my surprise, the training he had intrigued me. The reason? It's exactly the same way I approach creating a new affiliate site. He was teaching strategies in a webinar that you never hear anywhere else. I related to what he was saying and even picked up a couple pointers here and there. Now, full disclosure, I have not bought the course yet. **UPDATE ** I have now purchased the course and working my way through the modules. It's looking good so far ! ** However if the free training is any indication what the course is all about - it's probably a great investment. From what I heard on that webinar - these guys know what they are talking about. I will say that it is not cheap, but not overpriced either. $599 ain't bad. I suggest you set aside an hour and check out their webinar. You can also read my review which i'll update after I complete my review after going through all the modules. The "Super Affiliate System 2.0" is an affiliate marketing course created by John Crestani. You may have heard of his previous course - Internet Jetset. His newest course focuses on paid traffic to drive targeted customers to your offers. This is a 6 week intensive course that teaches you everything you need to know about paid advertising, copywriting, salespages and so on, It's focus is to help you build a business around paid traffic strategies and to help you scale it up. The course is the most expensive of the bunch at $997. I can only recommend this course if you are not interested in free or organic traffic and have the budget to run ads. Paid traffic can be very profitable if done right. Thankfully you only have 3 options to choose from. At this time these are the only courses I can recommend to you. There's a ton of courses out there and to be honest most of them are crap. Don't even get me started with "push button" type of courses that promise you riches overnight. Affiliate marketing takes a lot of work. Like any business venture if you are not able to sit through the material in these courses, take in the information and put everthing into practice, just forget about wasting your money on any course. The ones that stick to it are the ones that actually make something of themselves. Don't be that guy or girl (or however you identify as like an attack helicopter or whatever lol) and do nothing with the material.